Labour Market Impact Assessment – I met all criteria, but got refused. Why? Since June, 2014, Employment Social Development Canada (ESDC) has a tag line of “Canadians First”. And they mean it seriously. If you just meet their “minimum requirement”, there is a good chance that you will not get your labour market impact assessment. The message is clear from ESDC – “Temporary Foreign Worker must be the last resort by Canadian employers and prove it to us”. You must be over the top on all requirements under LMIA to be considered seriously. The minimum required advertisement is 30 days – you must do longer and more. 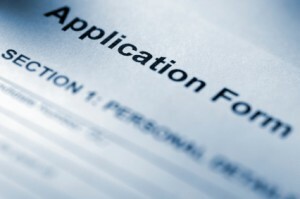 The minimum required number of advertisement is at least 3 sources, without overlapping target applicants. In other words, you should not advertise in Monster AND Workopolis because their target audience is similar. Notwithstanding that, each ESDC office may take a bit of a different approach, depending on the regional difference. You must check the unemployment rate on each regional section where your temporary foreign worker would be working. You must check the current median wage for the job your temporary foreign worker would undertake. If your temporary foreign worker’s job description has more than on National Occupation Code, then you should go with the higher skill and higher wage code. Currently, in Ontario, the processing time appears to be between 10 and 12 weeks for a regular LMIA. For PR LMIA, the processing time can be much faster, but still delayed due to the volume. In addition, by July 1st, 2015, the cap percentage will go down to 20% from 30%, as promised by ESDC last year (a cap on how many percentage Canadian employer may have temporary foreign worker). Regardless how well your LMIA applications may be, you must anticipate getting calls and further requests from ESDC on specific information or verification directly. Finally, transition plans must be flexible and versatile for each temporary foreign worker. You must anticipate getting a request for changes, no matter how perfect your transition plan may be, or even your transition plan worked for another temporary foreign worker in your own company. The bottom line for LMIA is to assess how badly you need this temporary foreign worker and decide what options, including LMIA, for such worker in a holistic long-term plan, rather than a short-term one.